Whilst shoulder pain may only account for 9% of the most common causes for chronic pain, anyone suffering from pain in the shoulder will tell you just how much a shoulder injury can affect your day to day activities. Below we shall discuss the most common causes for shoulder pain. 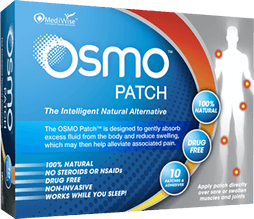 Click on any of the links to the common causes to learn more as well as how the OSMO Patch may begin your journey to becoming Pain Free 100% Naturally!. Common Causes of Shoulder Pain. It can be said that most shoulder pain causes fall into four main categories: tendon tear or inflammation (bursitis or tendinitis), instability, wear & tear or fracture.